De-Coiler offered by us finds application as accessory machine that is used as support for expanded metal mesh machine. The offered system finds application in opening rolling sheet irons that is then fed into expanded metal mesh machine. Here, our expertise lies in supplying the uncoiler in different options including in form of heavy duty uncoiler, stocker reel, double stock reel uncoiler and others that allows customers to choose the model as per their coil diameter as well as coil weight handling requirements. Here, we can also customize these decoilers based on the technical parameters provided by customers concerning maximum loading weight, inner diameter of coil, width of coil need to be decoiled. The Expanded Mesh Making Machines comes with stroke counter for cutting mesh after predetermined stroke, lubrication oil pumps for lubricating slides, guides & bushes and adjustable lateral movement of slide so as to find perfect application in different industrial sectors. These optimum performance based expanded mesh making machines are made available in maximum sheet widths of 610,1000mm, maximum sheet thickness of 0.7 mm, and maximum strokes per minute of 250 - 400 strokes. Coming with 10 hp, 3 phase 440V AC motors, the other specifications include mild steel fabricated frame, maximum stroke (SWO) of 11 mm, maximum lateral travel (LWO) of 22 mm and other operational features that make these machines deliver optimum performance in defined working space. Maximum width of sheet 450 mm. Maximum sheet thickness 0.7 mm. Maximum stroke (SWO) 11 mm. 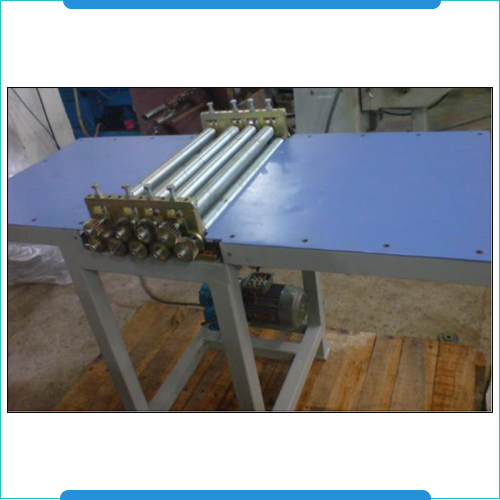 Mesh Flattening Machines offered by us are backed by latest technology support so as to provide optimum functionality in given process applications. Here, the machines are used for meeting the demands of flattening mesh after expansion that ensures the mesh having smooth as well as straight surface that makes it used for application in roofs, yarns as well as other similar places. With expanded metal cold-rolled post expansion, the offered system supports the requirements of providing for smooth, flat as well as level sheets. Further, the flattening process also helps in reducing original thickness of base metal. 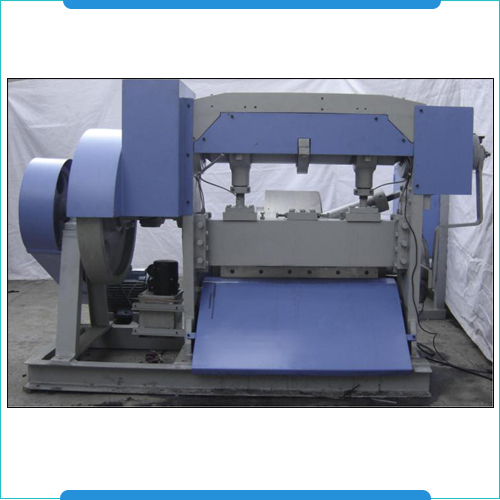 Here, our expertise lies in offering these machines in different finish forms including two-roller flatten machine, four-roller flatten machine, hydraulic flatten machine and others. We can also design these as per customers requirements based on parameters like material that is required to be made flat, width of plate (mesh) that need to be flat as well as thickness of the material. Mesh Straightening Machine offered find application as a support accessory of expanded metal mesh production line and are applied in the process as the mesh from expanded metal mesh machine is available in curved shape. 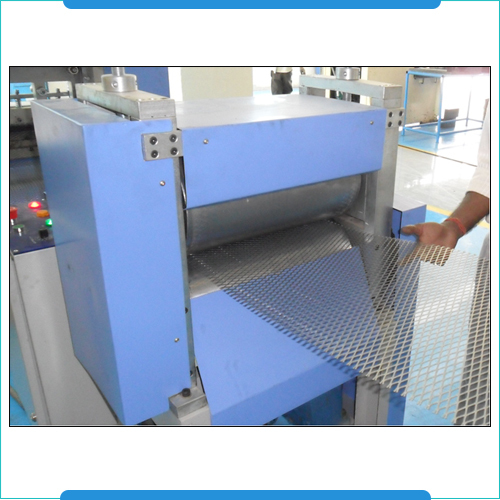 Here, the straightening machine provides vital assistance in removing curve from expanded metal mesh. Our rich industry expertise as well as in-depth knowledge regarding working of the product also allows us to offer customized solutions to the customers based on technical parameters like maximum straightening width required, material that need to be straightened as well as thickness of material that need to be straightened. 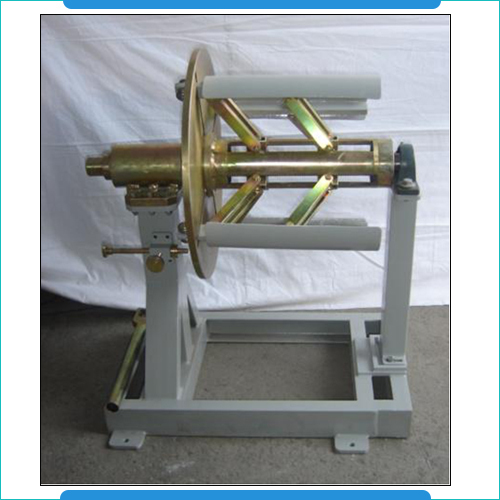 The use of machine also helps in taking out flaws as present in wire mesh.